nothing says ITPE like a valentine's day podfic right? 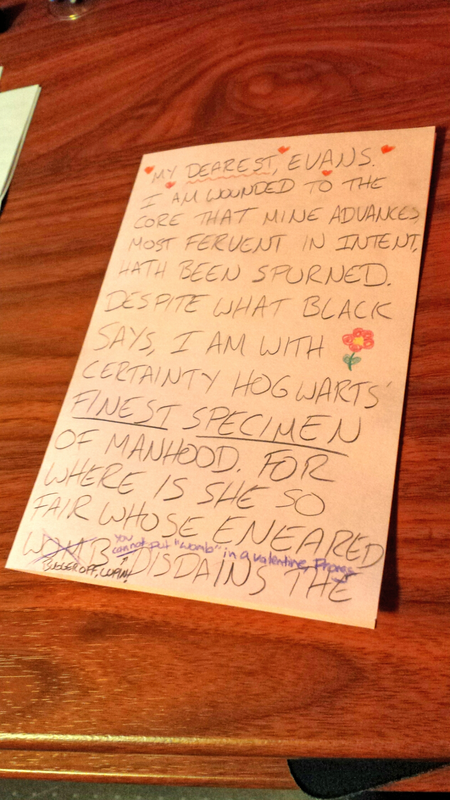 Podfic reading of rageprufrock's Seven Things That Didn't Happen On Valentine's Day At Hogwarts, Or Maybe They Did. "This is the weirdest Valentine's Day yet," Peter mused. "But not 'ever,'" Remus said dryly. 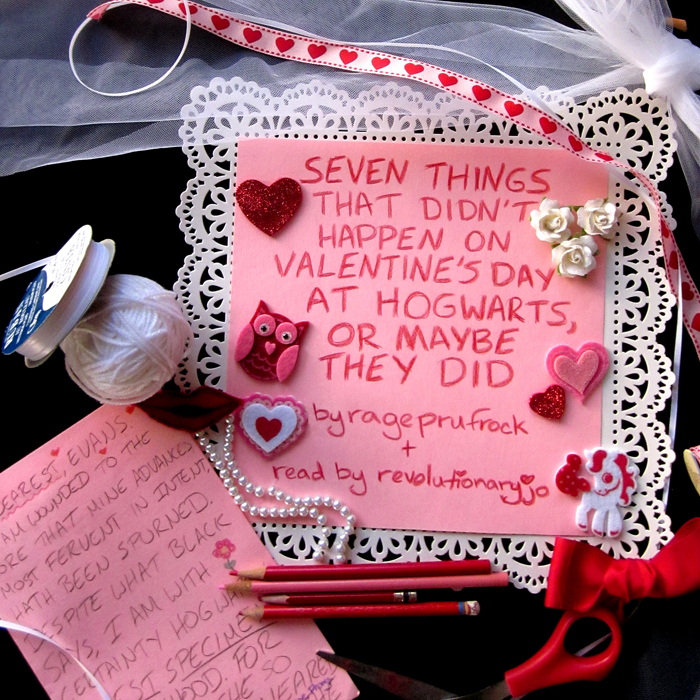 Inspired by Seven Things That Didn't Happen On Valentine's Day At Hogwarts, Or Maybe They Did by rageprufrock. I spent $9.20 on craft supplies for this cover and I blame James Potter entirely. Anyway, I thought it was high time a podfic version of this story existed as it's one that's stuck with me since it was originally posted way back in 2004, and when my recipient rightly pointed out how criminal it was that there wasn't much by way of podfic for the Marauders, I thought "my day has come" and leapt into action. A thousand thanks to my tireless beta, Lunate8, who I know was swamped with her own ITPE projects and life and things but still managed to get all 2.5+ hours of this plus another work reviewed for me before the deadline! No one could have predicted I would churn out over 5 total hours of audio for this challenge, least of all me. P.S. I did write an entire page of sickening prose including bits of Sonnet III for that cover, which the curious can see the whole of over here. Check that subtle Hamilton reference. If you like, you can reblog on tumblr here. Thanks!